I’m part of a plein air (just a fancy name for painting outdoors) painting group called the Chestnut Group that has special paintouts where we get to paint at places not always open to the general public. 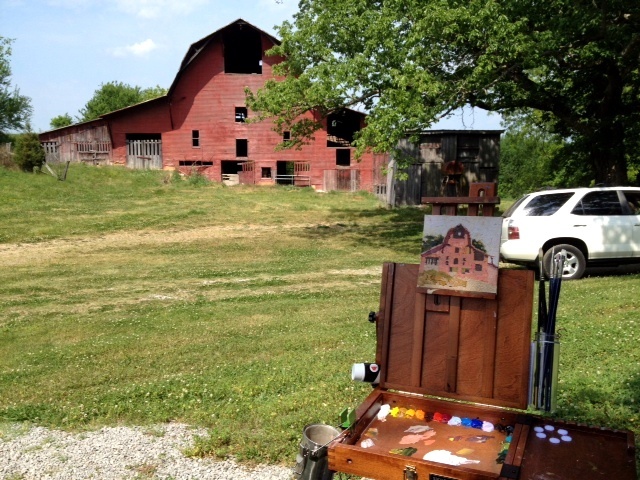 We get to paint in some really neat places all over Tennessee. 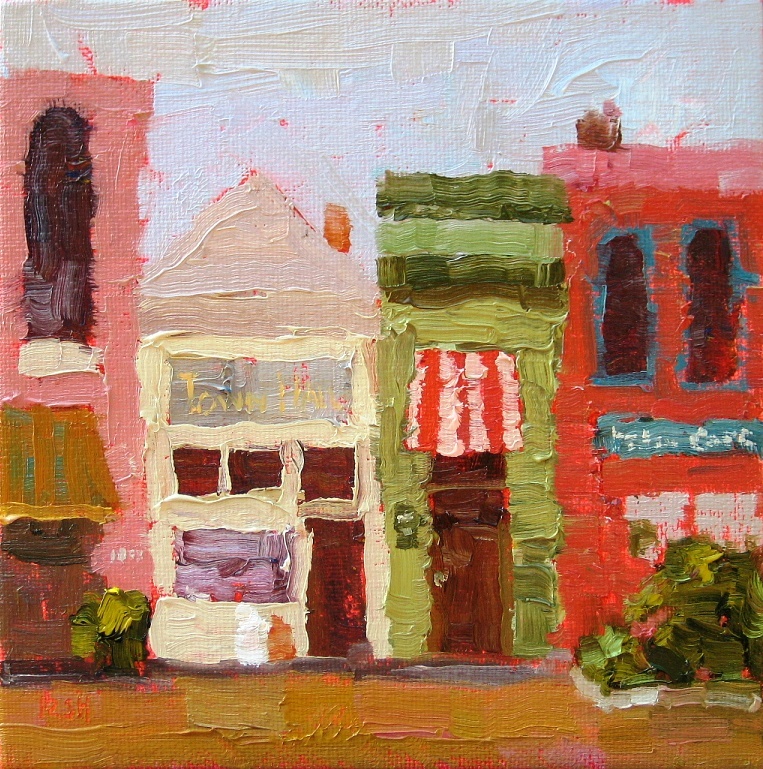 These two paintings are from my first paintout with this group in Warfield, TN (I think that’s where we were). 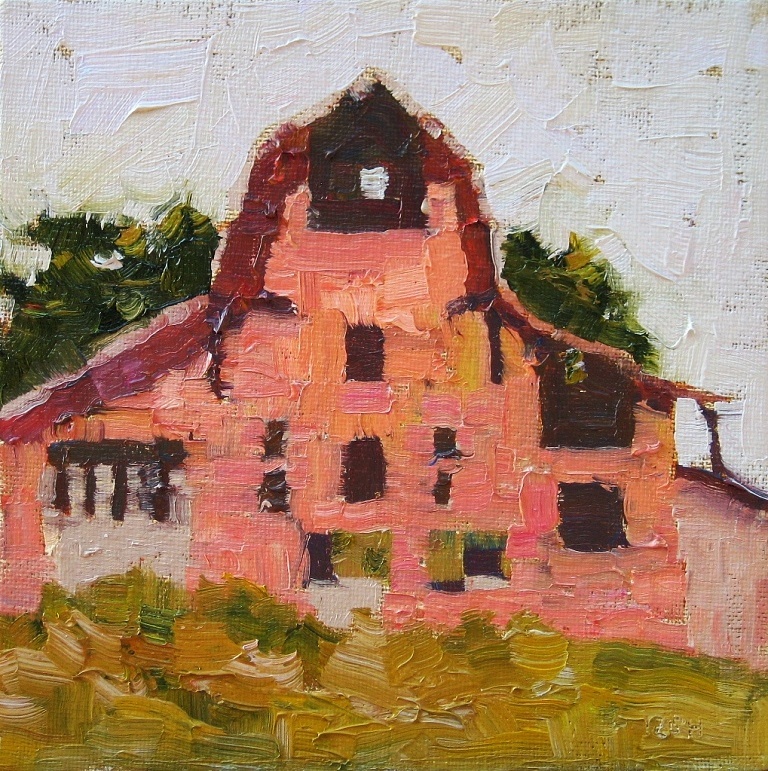 My first painting was of a wonderful old red barn that was HUGE. After lunch I was pretty wiped out but decided to venture out by myself into the little town square that had some great old buildings – I did this second one really fast. I so like your painting and mainly the colors that you use. I like the fact that you do display the Lord’s Glory.